LONDON 08 February 2019 — “Education is a critical instrument in opening eyes, minds, and hearts. 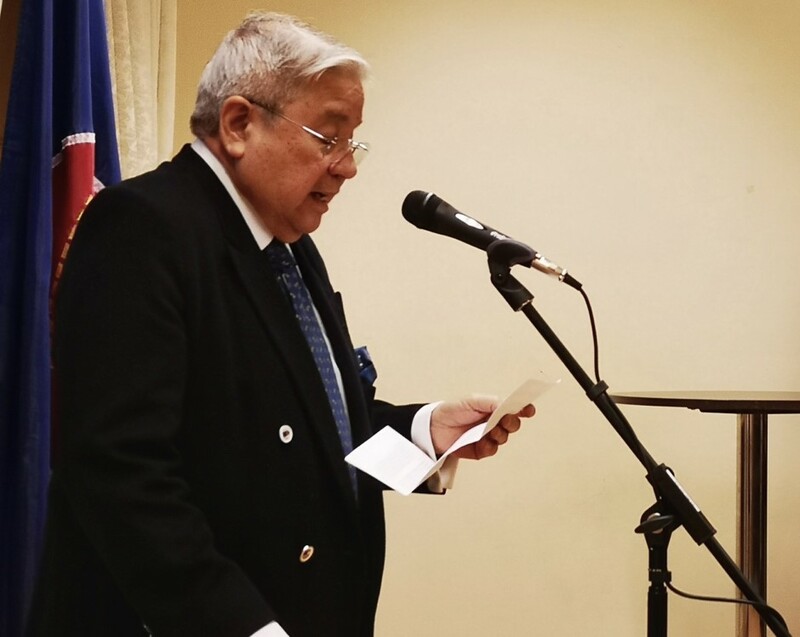 It is a bridge that has connected and will continue to connect both the Philippines and the United Kingdom in the years to come,” said Ambassador to the United Kingdom Antonio M. Lagdameo as he welcomed more than a hundred representatives from Philippine and British higher education institutions to the first Philippine Embassy in London Hangouts of 2019 on 22 January 2019. The year’s first Hangout aims to spark collaborations and uncover opportunities in education to increase Philippine and British student mobility, facilitate institutional linkages, and to promote stronger partnerships among Philippine and British universities. In his speech, Ambassador Lagdameo highlighted some key milestones in Philippine-British education ties including the ongoing transnational education partnership between ten Philippine and British universities in fields as diverse as innovation, design, and marine biology, among others. Last year, Birmingham City University alumna and 2016 Metro Manila Film Festival Best Picture “Sunday Beauty Queen” director Baby Ruth Villarama was recognized by the British Council as one of the three U.K. Alumni Awardees for her eye-opening documentary film on the lives and struggles of migrant workers, while British School of Fashion alumna and VESTI founder, Martha Rodriguez launched her new collection of designs featuring the traditional textiles of Mindanao in the September London Fashion Week. Misses Villarama and Rodriguez are only two of the many British-educated Filipinos who are using what they have learned in the U.K. to advance their respective advocacies. “There are also quite a number of British students in the Philippines, particularly in the fields of anthropology, marine biology, tropical health, and social entrepreneurship. They too are eager to bring home to the U.K. not only memories of exciting journeys across the archipelago but new lessons and fresh perspectives in shaping a more sustainable future for the world we live in,” Ambassador Lagdameo said. The recently-concluded Hangout generated more than a hundred leads for future partnerships and collaborations, resource sharing, and scholarships and grants prospects, which will be pursued through more formal meetings in the coming weeks.